CHATSWORTH, CA / ACCESSWIRE / May 10, 2017 / Trimax Corporation Inc. (OTC PINK: TMXN) announced today that its subsidiary company, Saavy Naturals Inc., has entered into a marketing agreement with TLK Fusion, as well as a factoring and distribution agreement with RMS. Founded by Ken Collis, TLK Fusion is a premier Public Relations, Celebrity Licensing and Distribution Firm, which strategically aligns brands, artists, and charities with the highest quality in the industry, through the fusion of powerful and creative people. TLK Fusion is the winner of four consecutive Best in Biz Awards, has been named the International Marketing Firm of the Year, and also received the notorious Golden Bridge Award. In addition to these awards, Ken Collis has personally been honored with both the prestigious Rolling Stone Magazine Impact and Stevie Award’s. “What a dream it is to be partnered with the leaders in all natural body care. Through a very well oiled marketing plan, our partnership with SAAVY Naturals will be sure to be a fruitful one,” said TLK Fusion CEO, Ken Collins. Additionally, Saavy Naturals management is pleased to announce that they are now working with RMS, a Retail Accelerator service for companies looking to enter or expand their US market share. Kompugard’s RMS Division offers turnkey, flexible solutions including Fulfilment, Receivable Financing, Distribution, and E-Commerce. “We look forward to assisting Saavy Naturals on increasing its revenue streams, as well as establishing new customer relationships throughout the United States and abroad,” said Ariel Goldenstein, CEO of Kompugard. “We are thrilled to have partnered with TLK Fusion and RMS., we believe that with the combined expertise of TLK Fusion and RMS, in relation to brand enhancement and market expansion, Saavy Naturals is well positioned to expand its presence, revenues, and significantly increase its visibility within the marketplace,” said Hugo Saavedra, President of Saavy Naturals, Inc., a subsidiary of Trimax Corporation. In closing, the company will provide additional updates as material events become available. Trimax Corporation, through its wholly owned subsidiary, Saavy Naturals Inc., offers a complete line of Natural Skin Care products, which includes body creams, body scrubs, body wash, shampoos, conditioners, handcrafted soaps, bath bombs, bath salts and candles. 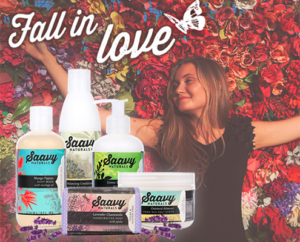 Saavy Naturals products are 100% natural, vegan, gluten-free, soy free, cruelty-free, non-GMO, and food-grade. Currently, Saavy Naturals can be found in some of the largest Natural retail stores and exclusive boutiques and spas across the nation. Some of the retailers include Whole Foods Market in the Northeast and Southern California regions, Gelson’s Market, Vitamin Cottage, Bristol Farms, Erewhon, and Lazy Acres. Additionally, Saavy Naturals products can be purchased through numerous online retailers, including www.Amazon.com, and www.Saavynaturals.com, to name a few. Based in Los Angeles, CA, is the leading Hollywood marketing firm in the country. Established in 2009 by Ken Collis, with an A list roster of celebrity relationships and Fortune 500 brands, TLK Fusion is able to leverage their network to gain maximum exposure for their clients and is capable of effectively enhancing the public’s perception of their brands. TLK Fusion’s guaranteed deliverables, innovative digital campaigns and strong celebrity relationships. Our unique out-of-the-box thinking and expertise in the digital marketing space has proven successful time and time again. TLK Fusion is the winner of four consecutive Best in Biz Awards, has been named the International Marketing Firm of the Year, and also received the notorious Golden Bridge Award. In addition to these awards, Ken Collis has personally been honored with both the prestigious Rolling Stone Magazine Impact and Stevie Award’s. RMS or Retail Management Solutions is a wholly owned subsidiary of Kompugard Inc., a privately held, 30 year old company with headquarters and warehousing facilities located in Van Nuys, Los Angeles. RMS helps diverse clients with all aspects of production, shipping and logistics and facilitates placement of product at retail, using its many vendor numbers with major U.S. retailers. Clients enjoy a high level of professional and confidential service and attention to detail. Working with RMS allows client companies to expand top line sales revenues without adding infrastructure and overhead and is proving to be an innovative and effective solution for client companies seeking revenue growth through increased distribution.